Google Adsense Arrows To Get 3D Look & Feel? Google seems to be testing yet a slightly different format for their arrows on their AdSense ad units. 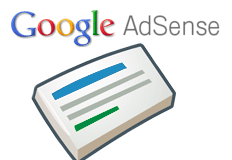 A WebmasterWorld thread has one user who posted a picture of an AdSense unit that had an arrow that looked slightly 3D or shadowed, with the look that you can press on it as a real button. I noticed an increase in RPM and CTR since yesterday, went to investigate a bit more, and it looks like there is a new 3d relief style added to the arrows in text ads (desktop browser), making them look more like pushable buttons. It's a small change but appears to be quite effective. It will be interesting to see how long before ad-blindness kicks in again after this change, or if Google will stick with this arrow style (as far as I can tell, it doesn't appear to have changed on mobile browsers yet).